There were 21 first round matches on the schedule in Madrid on Sunday. It’s been even more in the past but it was still a hectic day of tennis. I was in and out of the tennis during the day as it’s Bank Holiday weekend and I am home with my family. After many miserable weekends in 2018, the sunshine has come out to play ☀. Read on for eight stories from Sunday’s sizzling schedule in Madrid. Caroline Wozniacki dropped just four games in a 6-3 6-1 first round outing against Daria Gavrilova. The match was closer than the scoreline suggested. Gavrilova gave it her all and demonstrated pockets of promise with her forehand. For a moment she looked to have the upper hand at 3-3 in the first set. Gavrilova’s serve continues to be a liability with seven double faults in this match and her focus just dropped. Neither seemed bothered by injuries picked up in their most recent matches. A good start for Woz. Sam Stosur closed out a rare win over Anastasia Pavlyuchenkova with her 14th and 15th aces of the match to win, 6-1 6-7(2) 6-3. Before this clash, Pavs had won four of their five most recent matches. Stosur gets Sloane Stephens in a very intriguing second rounder set for Monday night. Sorana Cirstea wobbled serving out the match against Katerina Siniakova but got there in the end. From 5-1 up in the third set, Cirstea found herself at *0-30 serving for the match for the second time at *5-4. Two lines helped her to match point which she converted for a 6-4 2-6 6-4 victory. Cirstea has a 100% record against Siniakova and gets Daria Kasatkina in the second round. The 21-year-old Spaniard, Sara Sorribes Tormo, scored the first top 20 win of her career at home with a 7-5 6-2 victory over the number 13 seed, Madison Keys. Keys refused to budge from the baseline and take the ball earlier, ultimately getting drawn into long rallies and being bamboozled by SST’s heavy topspin. I wonder if something was going on behind the scenes because this was an absolute shocker for Madison. I got the general vibe that she wasn’t up for the fight in her body language and she seemed devoid of ideas, not really taking on board her coach’s advice. I hope everything is OK with Madison! Sorribes Tormo went out and played her game, and delighted the home crowd with her best win. This was my favourite match of the day – a great contest! Jo Konta came from 1-4 down in the second set to knock out the number 16 seed, Magdalena Rybarikova, 6-3 7-5. Key to the win for Konta was her commitment to be aggressive. I remember watching Konta play Fanny Stollar in Charleston where she was completely outplayed and simply a passenger for large chunks of the match. The Brit didn’t allow Rybarikova to get on top in this match and she served out the match in clinical fashion. 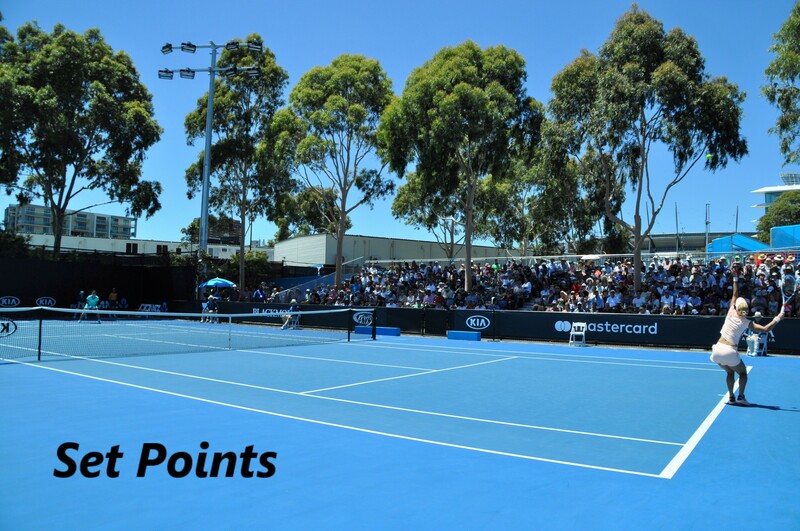 Konta will play Bernarda Pera in the second round in what will be their third clash of the year already! So thrilled to hear this news! Victoria Azarenka has confirmed she is intending to play Rome, Roland Garros, Mallorca and Wimbledon. Azarenka enjoyed a relatively comfortable 6-3 6-3 win over Aleksandra Krunic on Sunday and gets Karolina Pliskova in Monday’s blockbuster night match.
.@vika7 announced she's cleared to play through Wimbledon! Eight second round matches are on the schedule for Monday including Ka.Pliskova vs. Azarenka, Wozniacki vs. Barty, Sevastova vs. Bertens and Stephens vs. Stosur. I’ll try and update the match thoughts page later tonight. Polls for my top three matches linked below. I’ll be travelling during the afternoon but easily back in time for Vika-Ka.Plis 😍! May 6, 2018 in Madrid, Set Points, WTA. Bouchard got a wild card into the $100K ITF at Cagnes-Sur-Mer in France this week. Very interesting draw. Also noticed Zhuk-Blinkova R1! Sucked for AKS to draw clay court princess Sevastova first round, but she’s getting back to her best form. Did you get to watch it? Nice to see AKS coming back. I haven’t had chance to watch any match in full this week. Working today but hoping to catch up on Garcia and Barty later on. Yep some good match-ups coming up! Pliskova-Azarenka was a good contest in the 3rd set.